Book Update: Here is a list of books I’ve read so far this summer. Contagious: Why Things Catch On by Jonah Berger: Ever wonder why certain youtube videos go viral? Or why some companies make the choices they do? This book explains a lot and explains how things that are contagious belong to one or more categories: social currency, triggers, emotion, practicality, public and stories. I would recommend reading Malcolm Gladwell’s The Tipping Point first. Drop Dead Healthy by AJ Jacobs: I’ve loved reading AJ Jacobs since his first book about reading the entire encyclopedia. Nothing new for me in this book, but some great stories. I would recommend it for anyone who does not enjoy non-fiction exercise or nutrition books, but wants to learn more. The Year of Living Biblically by AJ Jacobs: This is his most popular and best rated book on Amazon. I can see why – he goes through a year trying to live his life exactly by the bible. That includes all those rules from the Old Testament that we just glance over and never really quote. I mean who puts “Whenever a woman has her menstrual period, she will be ceremonially unclean for seven days. If you touch her during that time, you will be defiled until evening” from Leviticus on their Facebook page or frame it in their hallway? Superfreakonomics by Steven Levitt: Fun read for the inner economist in all of us. The Bigs by Ben Carpenter: Every person under the age of 25 should read this book! It should be mandatory for every senior in high school – a wealth of knowledge of getting through the working world, the differences between the school world and the working world – and some great stories to boot. Talk like TED by Carmine Gallo: Great for anyone in public speaking or will ever need to make a presentation. The Apple Experience by Carmine Gallo: He refers to the Apple company so much that I just had to read this one next. It outlines how Apple turned their corporation around and got a huge customer following/base. Before Happiness by Shawn Achor: This book was written after The Happiness Advantage but should really be read first. He takes what he learned from outside the classroom and uses that to finding the keys to success, finding happiness and making lasting positive change. The Happiness Advantage by Shawn Achor: 7 ways to fuel performance and success at work or school. I think Before Happiness was better, but this has its merits. I have been requested you contact myself, or another Wildtree representative, for information on purchasing the bundles with their recipes, meals, shopping list and labels. Thank you! Recipe: As you know I’m a sucker for citrus. 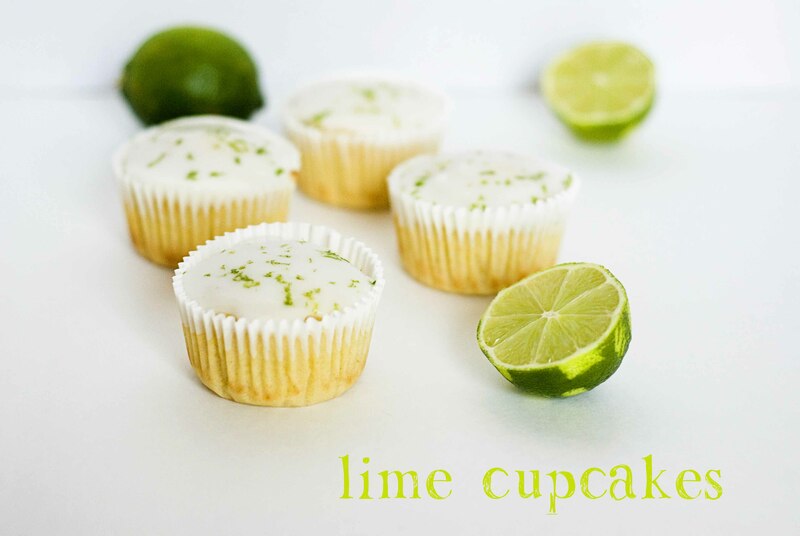 We made lime sherbet this summer and for white bear’s 8th birthday, the kids and I made lime cupcakes. White bear is 8 years old because my 7 year old son figures that is about how old he must be since I received him at a baby shower before he was born. Per his calculations, and the desire for a new lego set, he created a birthday for his stuffed animal on August 1st. So, every year we celebrate his stuffed animal’s birthday with a toy and some cake. Granted, my son’s real birthday is Christmas Eve and kinda gets mixed in with the Christmas week, we can’t really have a party that week because everyone is busy, etc. etc. So, hey, why not? Feel free to make these into lemon-lime or lemon cupcakes just by mixing up the zest. 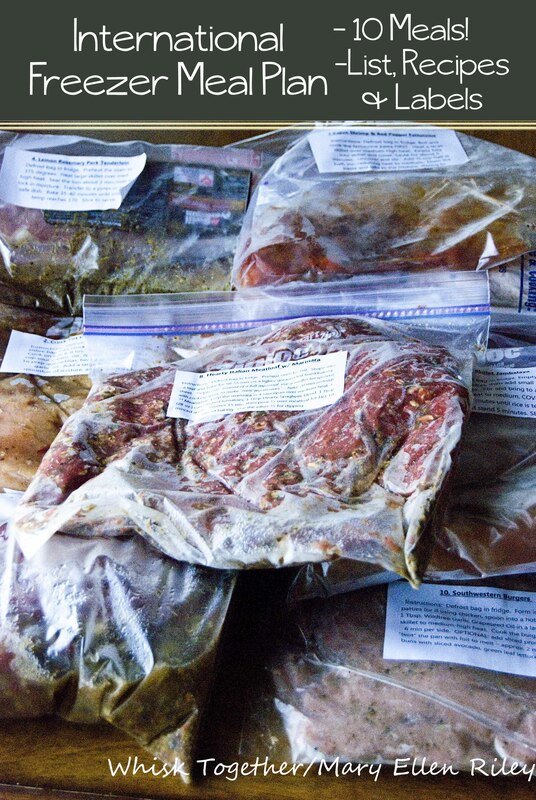 They are whatever you want them to be – but in the end they will be delicious! The texture reminds me more of a muffin than a cupcake perhaps. I still really liked them and ate too many. They whip up in a jiffy and have a great flavor for any time of year. Something light. In a great big bowl: mix oil, sugar, salt and lime zest. On medium high, mix for 2 minutes. Add lime juice. Add eggs. Mix another 2 minutes on medium high. In a not so big bowl: mix flour and baking powder. Alternate adding the flour mixture and milk in 3 increments. Always start and finish with flour and mix on low. So, add 1/3 the flour, then half the milk. Add another 1/3 the flour and the rest of the milk. Add the rest of the flour. Divide batter among the muffin pan. I like to use a large cookie scoop. Bake 16-20 minutes. Cool for 10 minutes on rack. Remove from pan and cool completely. Mix it all up!! Add a little water if it is too thick. Using a spoon, gently pour the glaze onto the cupcake. Or, dip the cupcake into the glaze. 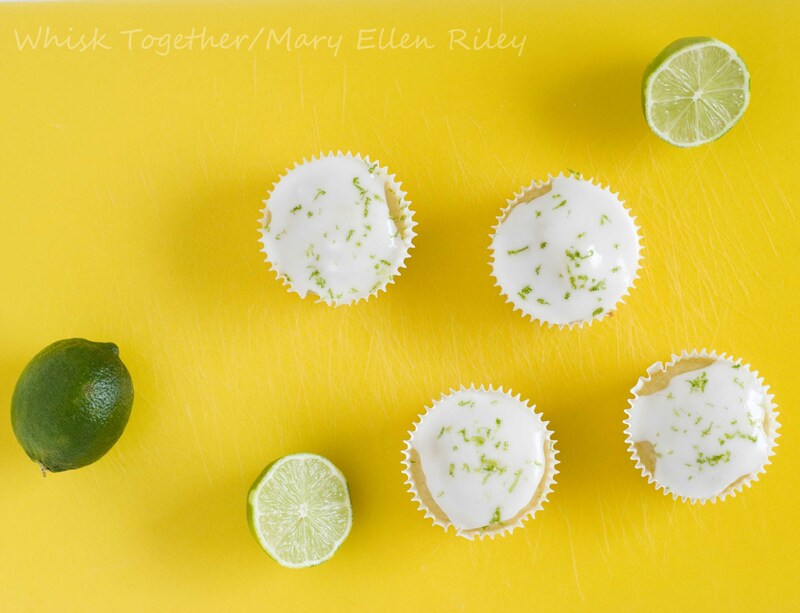 Sprinkle with lime zest for garnish to make it pretty! 2. Line muffin pan with liners. 3. In a great big bowl: mix oil, sugar, salt and lime zest. On medium high, mix for 2 minutes. 4. Add lime juice. Add eggs. Mix another 2 minutes on medium high. 5. In a not so big bowl: mix flour and baking powder. 6. Alternate adding the flour mixture and milk in 3 increments. Always start and finish with flour and mix on low. So, add 1/3 the flour, then half the milk. Add another 1/3 the flour and the rest of the milk. Add the rest of the flour. 7. Divide batter among the muffin pan. I like to use a large cookie scoop. Bake 16-20 minutes. 8. Cool for 10 minutes on rack. Remove from pan and cool completely. 1. Mix it all up!! Add a little water if it is too thick. Using a spoon, gently pour the glaze onto the cupcake. Or, dip the cupcake into the glaze. Sprinkle with lime zest for garnish to make it pretty!